The perfect expression pedal for your favorite Line 6 amps and effects. The Mission EP1-L6 is a high-quality, all-metal, vintage-style expression pedal that is the perfect complement to your Line 6 amps and effects. Great for wah, whammy and many other effects, the EP1-L6 is designed to work out of the box with any of the Line 6 expression pedal compatible products such as the POD HD, and the stomp box modelers. Check out the full list of compatible devices below. *The Mission EP1-L6 is built with the same all-aluminum and stainless steel construction and highest quality components, that have made Mission pedals respected worldwide for their performance and reliability. This version features a re-designed non-slip rubber pedal surface, and new base plate with the Mission and Line 6 logos and the ‘Line 6 by Mission’ lettering. 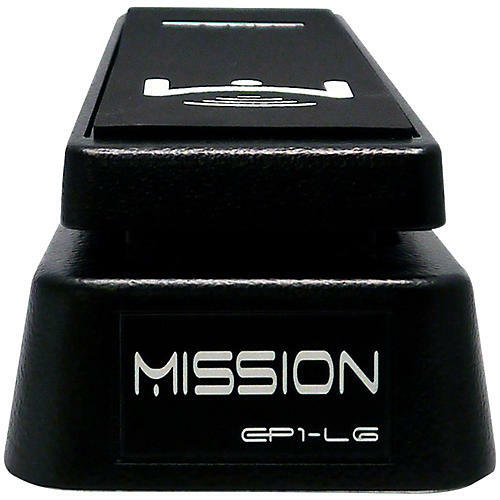 *Note that the EP1-L6 is the only Mission expression pedal that can be directly connected to the expression pedal input on Line 6 devices. Other Mission expression pedals are not compatible with the Line 6 pedal interface. Dimensions: 12" x 6" x 6"
Express yourself with this old school pedal. Order today!